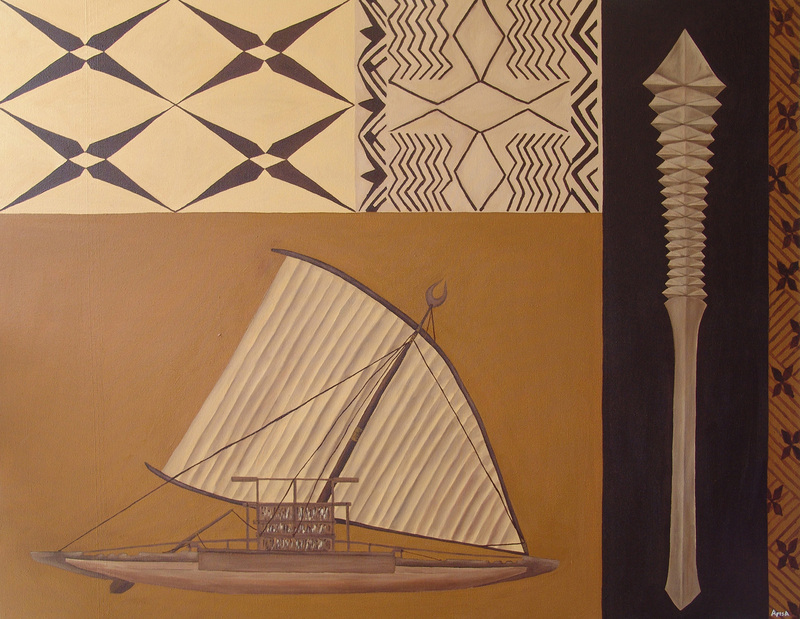 This painting 'Poto Tele' is named for in honor of the skilled craftsmen and women who built and used the Samoan Alia a double hulled sail boat, the Fa'alaufa'i the war club, and the Siapo (a.k.a. tapa) chosen for this painting. The tightness and lines throught this painting are to remind the viewer of the skill and craftmanship that went into the construction of these items, while the loose siapo design on the end is placed to show the printwork of siapo.